Self-care has become quite popular over recent years with more women taking it seriously now than ever before. Women are abandoning their superwoman capes and heading to salons for hair maintenance, nail treatments, and massages. They’re making time for themselves and have started to understand that they aren’t any good to their families or anyone else if they aren’t taking care of themselves. 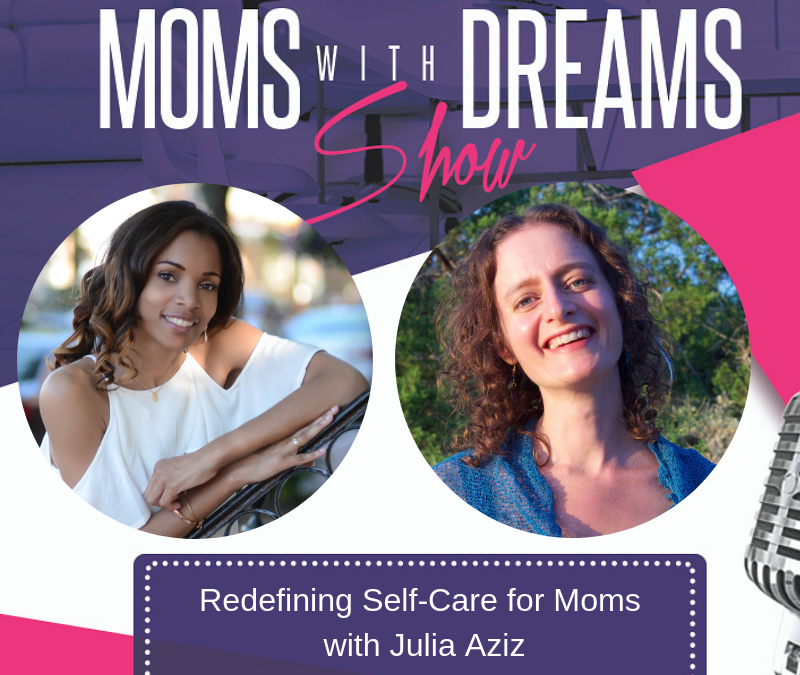 In this episode, I have a conversation with Julia Aziz, an interfaith minister, licensed clinical social worker, and author who supports those who care for others – whether they are healthcare professionals, counselors, educators, or natural caregivers. You’ll hear Julia’s definition of self-care, which is quite different from the popular definition that you may associate it with right now. Why you may not feel well even when you’re practicing traditional/popular self-care rituals such as exercise, healthy eating, getting enough sleep, spending time with friends, and treating yourself, etc. I invite you to listen intently with an open mind and heart. I challenge you to choose at least one of the concepts that Julia shares and start your own self-care regimen. I love hearing from you, and I always respond. Please share your thoughts and comments below. If you have any questions or comments you don’t want to share publicly, you can email me at Erica@momswithdreams.com. Thank you for being a member of my extended family. I am extremely grateful to have you here with me. Until next time – Reclaim YOUR dream. Do what YOU love. Make a difference.